Bouncing Bouncers Boosting their Blooming Barnacles to the tune of FUN! Keeping kids having fun is the name of the game and this inflatable will help! Included is an inflatable entrance ramp to help boost these bouncers into the main vessel of jumpingness, under a canopy that keeps this bouncer enclosed with vented windows. Keeps our kiddos cool, yet keeping them active! Please note*** this banner is the old school Power Ranger’s. Not the 2017version. 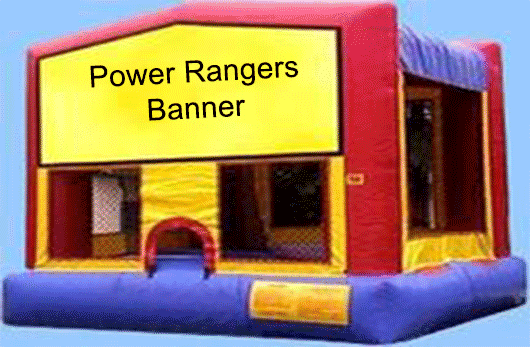 We can add any of our dozens of special themed banners like Power Rangers, to this amazing one for all inflatable to make your party one of a kind and rather perfect! So book now! Online, anytime! Or call 505-792-6620.